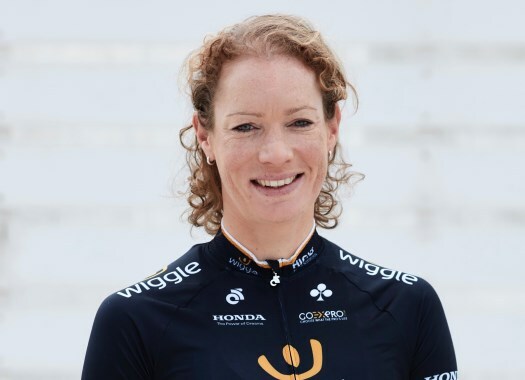 Wiggle-High5's Kirsten Wild has won the second stage of the Giro Rosa. The Dutch rider outsprinted Giorgia Bronzini and Mariane Vos at the end of the stage. The 120-kilometre stage took place from and to Ovada and had a strong escape duo formed by Sheyla Gutierrez (Cylance Pro Cycling) and Alice Maria Arzuffi (Bizkaia Durango-Euskadi Murias). They were bound to fight for the stage victory as they had a lead of three minutes over the peloton with 20 kilometres to go. But Wiggle-High5 decided to put a different speed on the peloton and the duo was caught in the last kilometres of the stage. Wild showed to have the better legs after the hard work of chasing the escapees and crossed the line ahead of Bronzini (Cylance Pro Cycling) and Vos (WaowDeals). "This was really a team win," said Wild at the end of the stage. "The girls chased, and the girls that didn’t chase really helped me in the final, so it was a really good one! "They really helped me into a good position, then I saw another team going and I followed the wheels. But Elisa and Emilia put me in a really good position. I just went as possible, as I could, so yeah!" Team Sunweb's Lucinda Brand crossed the finish line in the 10th position and this was enough for her to take the Pink Jersey from teammate Ellen van Dijk.